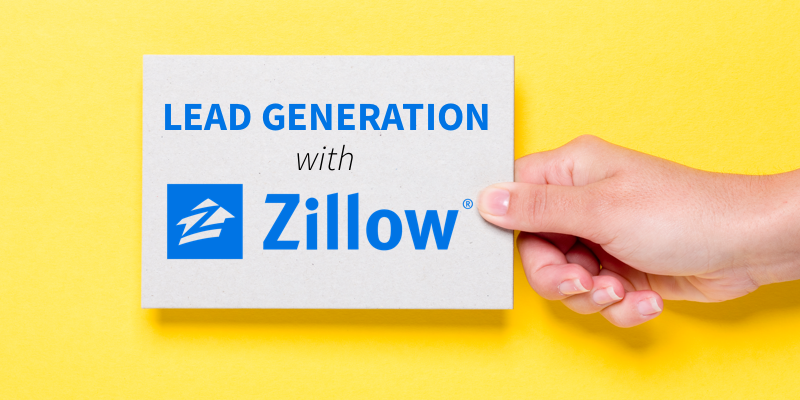 In this article, we’re going to give you over 13 different ways that you can use Zillow for lead generation….without advertising. So, set your opinions aside for a bit and pay attention as these simple, free tactics could help you land your next few clients. Zillow: Marketing Tool or Competitor? To leverage Zillow you need to first understand its place in the real estate industry. You can start to understand that their goal of helping Realtors actually parallels theirs of “empowering consumers”. The more data, information and knowledge that a home buyer or seller has the more educated they’re going to be. This isn’t a bad thing as many Realtors we’ve spoken with seem to think. Instead of you, as a Realtor, having to spend your valuable time pulling comps, curating data or sending repetitive information back and forth amongst your multiple clients, Zillow lets the consumer do all of that themselves. It gives them even more buy-in into the process than they’ve ever had before. Engaged prospects become active clients. And when it comes time to actually purchase or sell a property, your client will choose you based on your experience, local knowledge, responsiveness, reliability, negotiating skills and creative insights; not on your ability to send them data. Robots can do that. Robots will do that completely without you in the very near future. So, back to our question – is Zillow a marketing tool or a competitor? It’s an incredible marketing tool that only competes with Realtors in the search engines…when you let it. If you really want to outrank Zillow, you can. We’ll save that for another post, but you shouldn’t be getting hung up on that. Search behavior is not the same as it was a few years ago. Buyers and sellers are finding properties and getting connected with Realtors in all different ways now….not just through a Google search. Yes, it’s important but it’s not the end all, be all that it once was. Zillow has a long future ahead of it, but it still needs Realtors to make it work. Most real estate transactions are emotionally charged. No type of artificial intelligence (at least not anything existing now) will replace a confident, trustworthy, personable Realtor who can execute their fiduciary responsibilities while making their clients feel like they put their money in the right place. Embrace that and Zillow, or any other real estate technology, will become just another tool in your belt to help you grow your business. There’s no point in doing something if you aren’t going to do it right. This especially applies to any type of real estate online marketing strategy or tactic. When used properly and completely Zillow can be an exceptional real estate marketing tool. The following optimization steps, which are free and require very little time, will help you maximize Zillow. Make it a point to complete each of these steps. Your business and your clients will thank you. This is a no-brainer, but so many agents are still missing in action on Zillow. If you haven’t done so already, make sure you have a profile setup on Zillow. More importantly, make sure that you’ve filled everything out with as much detail and care as possible. In many cases, this is your first impression to many prospective clients so don’t get lazy here – optimize it as much as you can. TIPS: Outside of the obvious fields to complete (photo, license numbers, etc) take some extra time to include a video, links to your website (which are dofollow links by the way) and social media accounts as well as a full list of your service areas. REMINDER: Zillow provides a progress bar to let you know how much of your profile is completed. Use it. Get that thing to 100%. Are you part of a team? If so, then Zillow offers a specific association that you can use to communicate this to those viewing your profile and listings. We see too many team members improperly displaying themselves as one conjoined profile. This might simplify management of your account, but if there’s ever a case where you have a listing that your team member does not, then you might experience some data issues. TIPS: If you’re on a team, make sure to have your own individual Zillow profile. Once you’ve established this you can use the team association setting to let Zillow and your visitors know of your team affiliation. REMINDER: You can only belong to one team at a time so make sure you don’t have any duplicate accounts floating out there. Familiar with the phrase “garbage in, garbage out”? There are few examples where this applies more than with real estate data. And with Zillow relying heavily on the data that it receives from its sources and its users, inaccuracies and incomplete data run rampant. Don’t rely on what gets fed into Zillow, specifically for your listings. TIPS: Spend the extra time to write creative, informational descriptions for each property. Fill out every field you can. Upload professionally shot images. And create videos. REMINDER: Most brokers are now automatically feeding Zillow their property data. If you make a change to listing data just on Zillow and not on your local MLS, then there’s a good chance that your Zillow data can be overwritten. It’s a good habit to update your MLS data after you update your Zillow data. Prospects, specifically sellers, like to see what types of homes a Realtor has sold previously. More importantly, they want to see what a home was sold for compared to its initial listing price. One of the biggest oversights we see on Zillow is a lack of historically sold properties – even from the biggest, most successful agents. TIPS: Add as many of your previously sold listings as you can. Login to your Zillow account and navigate to the Sales History page to check / upload listings. Be sure to verify that all sold info (especially sold price and sold date) are accurate. And if the featured image of a sold listing isn’t great….change it. We shouldn’t have to tell you how effective a well-shot video can be for selling a listing. If that’s not enough to convince you to use video with your listings, then this might…video listings display higher on results pages in Zillow. Interested in videos now? Zillow makes adding a video incredibly simple, like this example, so don’t skip this step. TIPS: Where possible, add videos to all of your listings on Zillow. Don’t stop there though. Upload any videos you shoot to other platforms like YouTube and Vimeo. Not only can these be repurposed for other uses, but you’ll also have more control of your video content on these platforms. REMINDER: Videos on Zillow (currently) must been done through their app and they do not include sound. As a Realtor you should know by now how important client testimonials are for your business. This is the case even more so on Zillow as agents with more reviews and higher ratings will stand out to Zillow users. Aim to get at least 5 reviews initially and then, as your business grows, make it a point to add 2-3 new reviews every month. TIPS: Reply to each review that you get with a personal, genuine response. Not only will this show responsiveness, but it will also create opportunities for increased engagement with your past customers. REMINDER: If you’re part of a team, then be sure to get reviews for yourself as well as your team as these are different profiles on Zillow. One of the easiest ways to build your online presence and generate leads from online marketing is to prove that you’re a resource. Zillow Advice gives you this opportunity by creating an open forum for just about everyone involved in a real estate transaction to ask and answer questions. It’s similar to ActiveRain, Yahoo Answers, Quora and other Q&A sites, but the advantage here is that your answered questions will be tied to your Zillow profile. TIPS: Set a goal of answering at least 2-3 questions per week. More importantly, stick to what you know really well and become the best resource for that topic on Zillow. And if you want to take this to the next level, then write a longer form version of your answer on your website. REMINDER: Don’t rip existing answers from other sources. Be original and detailed to truly benefit from your time spent on here. Your time is limited and very valuable. Sending repetitive, redundant emails to prospects is not only ineffective, but it’s not the best use of your time. Fortunately Zillow’s Auto Actions lets you automate emails that don’t always require your personal attention each and every time (e.g. Send an email after a certain period when you haven’t received a response from a lead you’ve contacted). TIPS: Automation doesn’t mean boring, repetitive or impersonal. Take the time to craft genuine email templates that can be strung together for a natural flow of helpful communication with new prospects. REMINDER: Automated emails are not replacements for that initial contact you make with a new lead. Those should still be highly personalized and done initiated almost immediately. Zillow has built a powerful CRM for its users, but if you’re like most agents, that’s not your primary CRM. You might be using something like Salesforce, Contactually or even your website to store and manage your leads. If this is the case, then make it a point to keep your Zillow leads synced with your CRM of choice. This will streamline your lead management processes and also allow for easier campaign creation. TIPS: Use Zapier to easily integrate your CRM of choice with your Zillow account. We love Zapier, not just for CRM integration, as it can connect different applications that don’t have a native integration. If you’re interested enough to read down this far, then you’re probably spending a good amount of time building up your Zillow profile. If this is the case, then it makes sense to promote your activity on Zillow across your other web properties. Your prospects and clients are probably using Zillow already anyways so you might as well remind them that you’re active there too. TIPS: Integrate Zillow’s widgets and badges to showcase your activity on your website. You can display things like listings, ratings, polls, quizzes, calculators and real estate statistics. And if you have a strong technical resource you can even use their API to pull reviews right into your website as well. REMINDER: These widgets and badges are great, but they will send visitors off of your website. Use them strategically and make sure that the place you’re sending them contributes to your conversion process. Zillow Digs is basically the Pinterest for real estate, but built right into Zillow. If you’ve spent any time on Pinterest, then you probably know how engaging that platform can be. Couple that user experience and resource with a platform that is solely focused on a specific topic (real estate) and you have a captive, engaged audience that can be leveraged for growth. TIPS: Start by making sure your Digs profile page is completely filled out. Once you’ve done that create 3-5 initial boards that you have a good amount of content for and start filling them up each day / week. REMINDER: If you focus on a specific niche (e.g. certain neighborhoods, types of homes, price ranges, home styles, etc), then your efforts will go a lot further and pickup traction a lot faster. When done right, helpful market reports require a good amount of effort. By the time you add up the research, curating, formatting, writing, designing and sending, you realize that you could’ve been doing many other things. An under-appreciated resource that Zillow provides are their market data reports, usually released each season. These reports require you to download them first, but they’re openly available to agents and anyone else that wants to reference them. TIPS: Repurpose these reports by turning them into blog posts, embedding them on your website and sending them out to your email subscribers. REMINDER: Zillow’s data is not always perfect. No one’s is. Make sure to actually read these reports first to ensure that the information provided is accurate for your market and applicable to your buyers and sellers. You’re 12+ tips in at this point….all specific to Zillow. It’s a no brainer to get their agent focused app installed on your mobile device and desktop. This well-crafted app will allow you to manage leads, edit your profile and request reviews. These are all ways to save you time – something you probably need more of. TIPS: Put the app on your device’s home screen and turn on notifications. These seem like simple, obvious tips, but we’re all very quick to tuck away new apps and disregard new notification requests. These two tips will keep the app top of mind and keep you active on Zillow. As with any other online marketing strategy, tool or tactic, you cannot complain about lack of results when you haven’t put in the right effort, time and investment into something. This certainly applies to leveraging Zillow in your real estate online marketing efforts. In the case of our 13+ tips, you don’t need to spend $1 to start building your presence and capturing leads that you weren’t getting before. Anyone that tells you that you need to spend thousands, or even hundreds, of dollars on Zillow for it to be effective is someone that has certainly not read this article yet and has probably not completed even half of the things we’ve outlined. BONUS TIP: Set aside a little bit of time each week. Even better, go to your calendar right now and create a recurring 30 minute meeting for every Friday morning called “Work on Zillow”. Adjust your schedule around this meeting, not vice versa. Before you know it you’ll have completed all of our tips and will be quickly building your presence, authority and trust on Zillow.